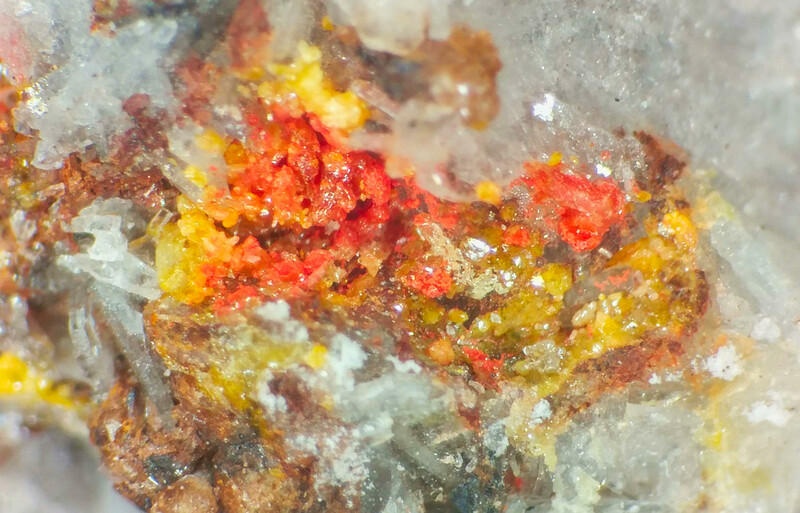 We will collect beautiful celestine crystals and colemanite geodes at the Pacific Coast Borax mine. There are also some fossils in the shale. The Mule Canyon Rd leading to the mine is an excellent driving adventure in itself. We will meet at 9:00AM at the Calico Rd and Calico Blvd intersection, just north of the I-15 freeway Yermo exit, 10 miles east of Barstow. It’s 115 miles from Pasadena, below two-hour drive, the drive time from San Fernando Valley is ~2hr 20min. We will head north on Calico Rd for a while, before turning into Mule Canyon dirt road and continue driving thru the canyon for 5.6 miles total. 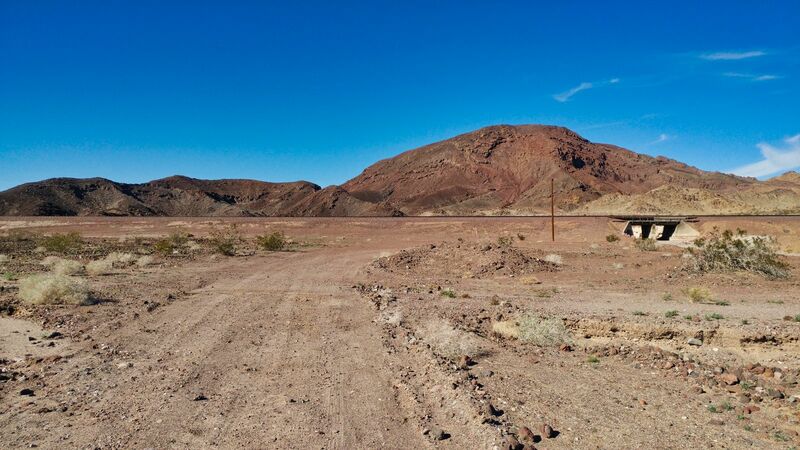 The dirt road is well maintained for a few miles if bumpy in places, but closer to the mine there are deeper sandy ruts, so low clearance vehicles are not advisable. We should have some space for people who will need a ride to the mine but would be great to know ahead of time. 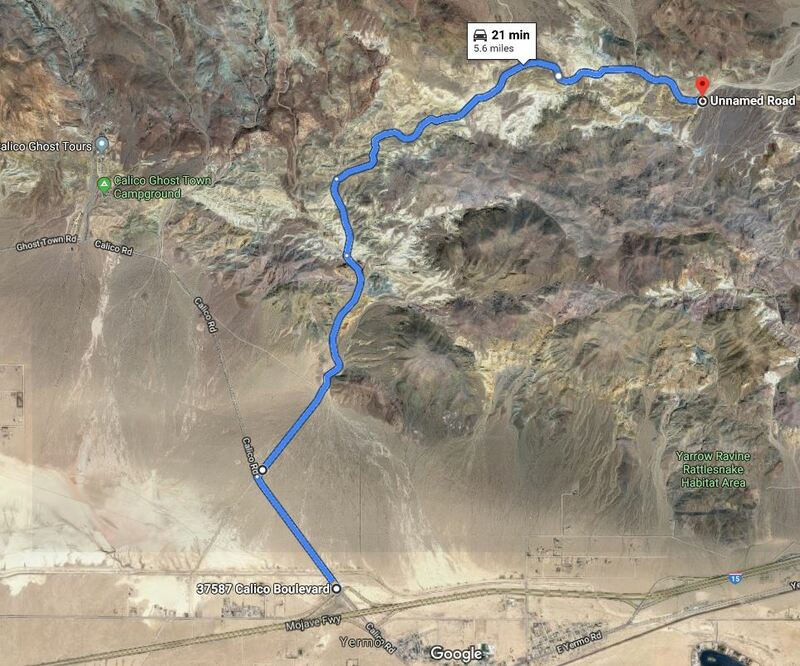 We will park at the side of Mule Cyn Rd and walk for a ½ mile to the mine dumps. The area is really extensive, so several hours will be needed to fully explore it. 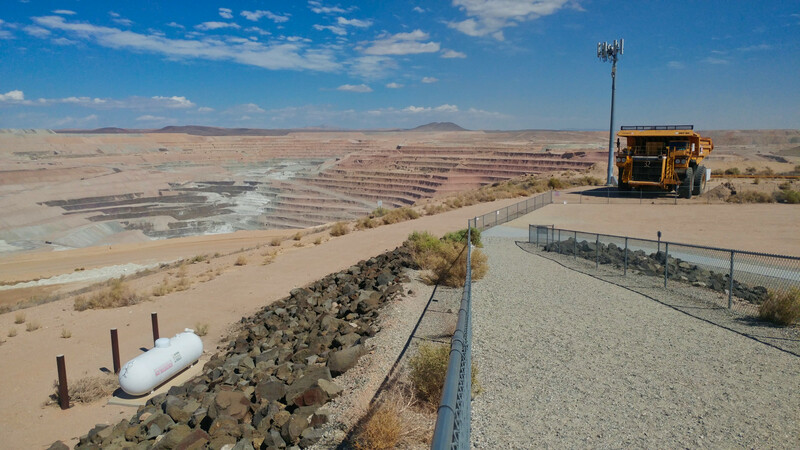 The post-trip options include digging for rare iron sulfates at Sulfur Hole just around the corner from the mine, or a visit to the Calico Ghost Town County Park, including a tour of Maggie silver mine tunnels, highly recommended if you haven’t been there before.